All of our programs are provided at minimal or no cost. No client is denied service due to an inability to pay. Youth Program: through community donations and fundraising for our Youth Fund, we help with Camp Lau-Ren fees, Children and Youth activities, provide Tools for School Program Assistance for additional costs and supplies not covered by Tools for Schools Program . NRFS is the local distributor for Child Poverty Action Network (CPAN) Tools for School Program. 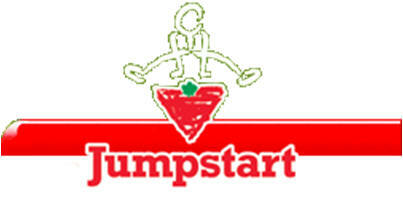 Our Agency serves as the Deep River Chapter of Canadian Tire Jumpstart Charities Program for children’s sports and activities. Community Christmas Basket Program: through the organization and help of Beta Sigma Phi Chapter, families are provided with food gift cards from community donations, and gifts collected via local Angel Trees. Many people assisted are additional to our client base. Through Community Donations to our Youth Fund we help with Camp Lau-Ren fees, Children and Youth activities, Tools for School Program Assistance for additional costs and supplies not covered by Child Poverty Action Network’s (CPAN) Tools for Schools Program. NRFS is the local distributor for CPAN’s Tools for Schools Program. Trusteeship program for youth under 18 years receiving Ontario Works assistance.